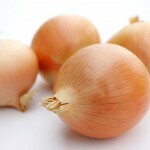 Onions are easy to grow and can be grown from seeds or sets. 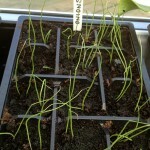 I am growing them from seeds. A sunny, well drained spot is best. 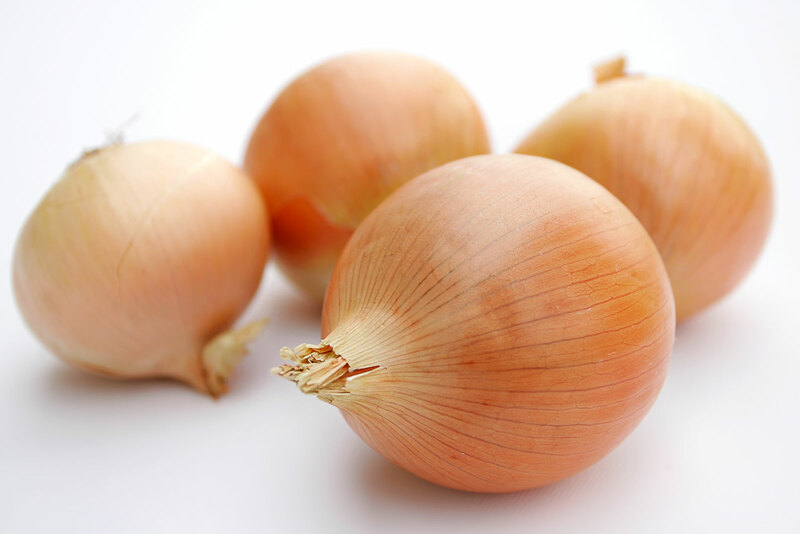 They can be planted March to April, but if you want a second crop, they can be planted in July as well, yielding a crop for the autumn. Harvest as soon as the leaves go yellow. 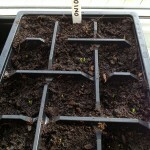 21st April 2013 – Day 8 – I am pleased to see that one or two seedlings have appeared in nearly every pot in the tray. I am watering them directly into the pots every other day, but now they have sprouted, I will put the water into the tray holding it. 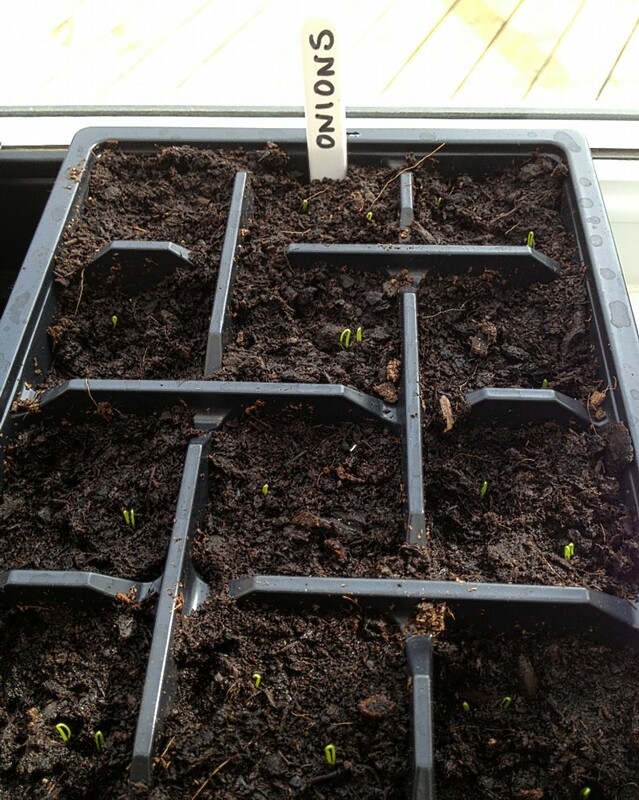 27th April 2013 – Day 14 - The seedlings are doing really well and are about 5cm in height. They are certainly far too fragile at the moment to plant out or repot, so I will see what they are like in another week. 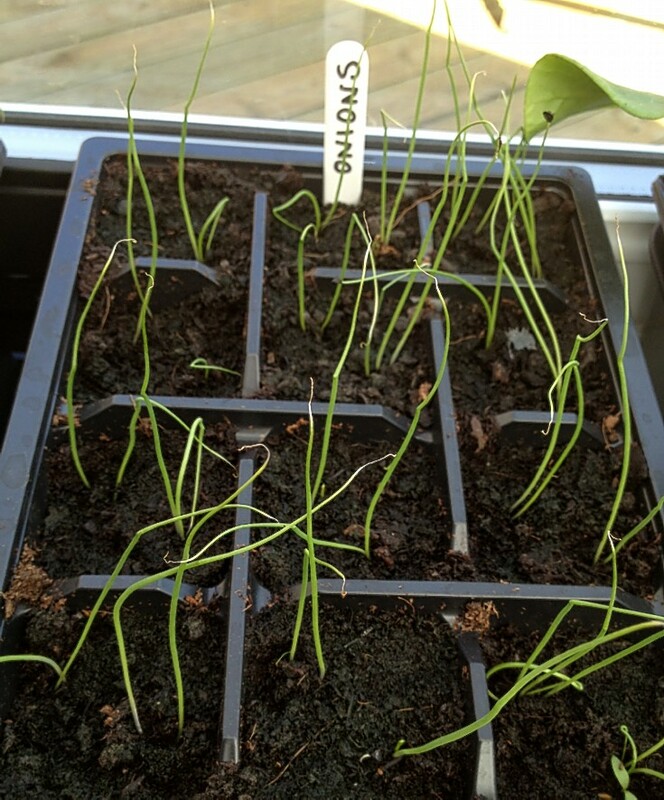 6th May 2013 – Day 23 - What a difference in height, density and strength. I think they are ready to split and plant out. 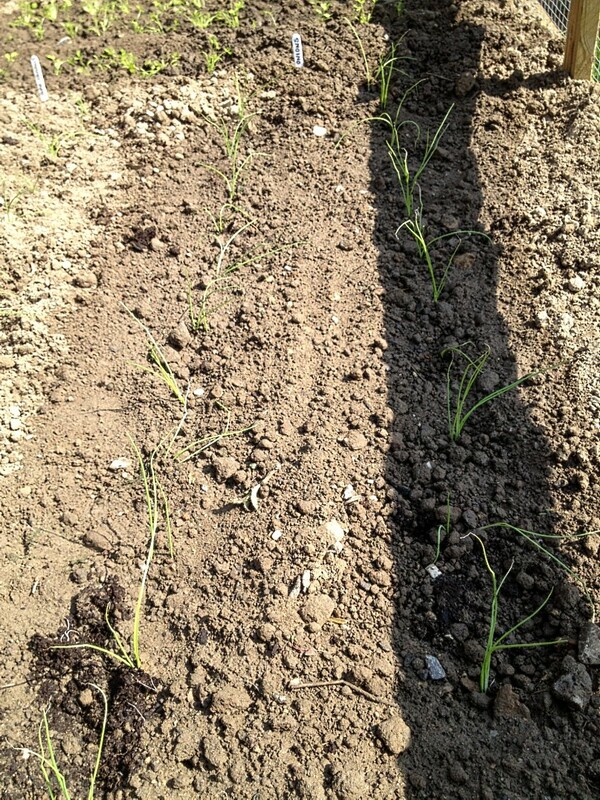 I have found a lovely sunny location for them, in well rained, fine soil and I made a small trench about 3 inches deep and spread some compost in the bottom. 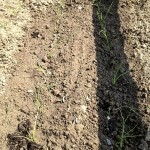 Then I took each pot and split the two in each to plant out, covering the roots over carefully with the soil. I set the hose to a gentle sprinkle to water them and will have to water them regularly in this warm, sunny weather.